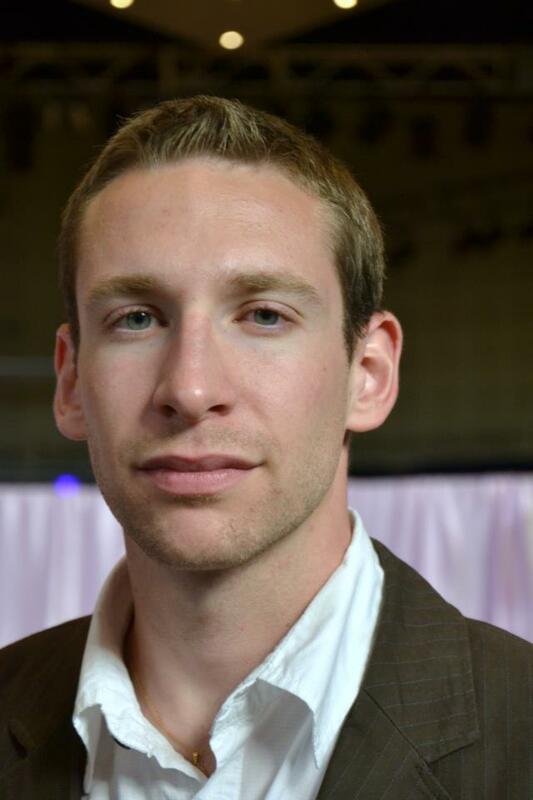 I have recently joined CLAS as a native speaking French Tutor. I graduated in English and American Studies, along with Teaching French as a Foreign Language, from the University of Nancy 2 in France. I did my first year of my Master’s in English and American Studies as well as in TEFL at the University of Birmingham. I completed my MA back in the University of Lorraine where I also recently passed a national competitive exam allowing me to teach English in France. I’m very interested in didactics and pedagogy concerning the teaching of foreign languages. This is why my dissertation investigated the extent to which it is necessary for students to have a written record of a lesson at the end of every single class. I also researched on teaching Content and Language Integrated Learning, more commonly known as CLIL. 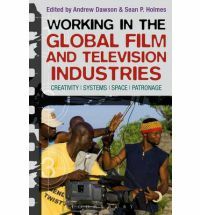 French and Film Studies researcher Dr. Alison Smith has recently published an article on women working behind the camera in France, in the book Working in the Global Film and Television Industries, edited by Andrew Dawson and Sean Holmes (Bloomsbury Academic). Dr. Smith’s article, ‘Les chefs-opératrices: Women behind the camera in France’, looks at the career patterns of those women who have succeeded in making a mark as Directors of Photography (DPs) in the French industry. The profession of DP is still overwhelmingly male-dominated across the globe, although the French cinema has historically been very slightly more favourable than others to women in this position. The article tracks the opportunities which have been made available to women who wish to work behind the camera, the limits of those opportunities and possible future prospects in a rapidly changing industry. 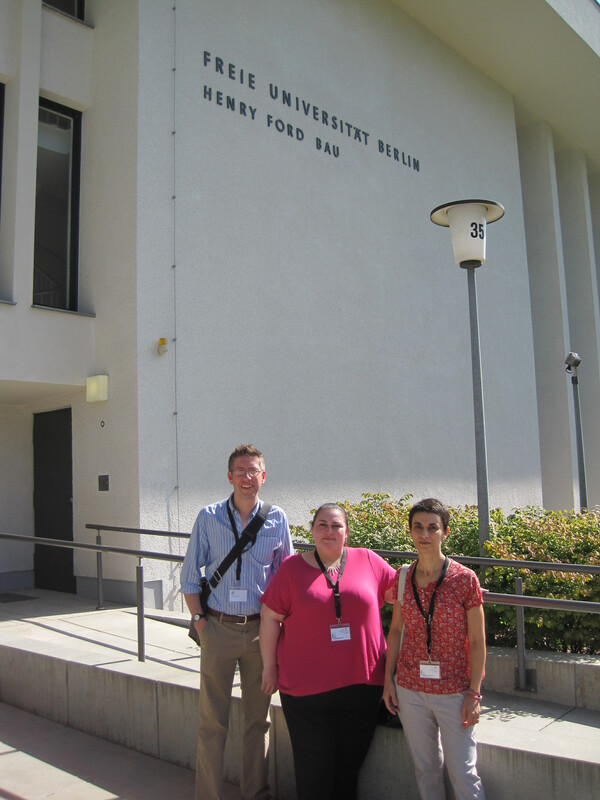 At the end of August, three members of SOCLAS’ Sociolinguistics Research Group took part in the 19th Sociolinguistics Symposium, hosted this year by the Freie Universität, Berlin. Over 1000 sociolinguists gathered in Germany’s capital for three days of papers, discussion, and hospitality. The three researchers represented two of the Sections from the Department. Dr Stefania Tufi, Head of Italian, presented a paper on her recent fieldwork in Venice, for which she had been awarded a Small Research Grant from the British Academy. Dr Robert Blackwood, Head of French, compared the use of regional languages of Nice and Ajaccio City Councils, in response to the conference theme of ‘Language in the City. Michelle Harrison gave a final paper before she submits her PhD thesis at the end of September on the differences in language policies in schools in Strasbourg, examining the management strategies for the teaching of Alsatian. 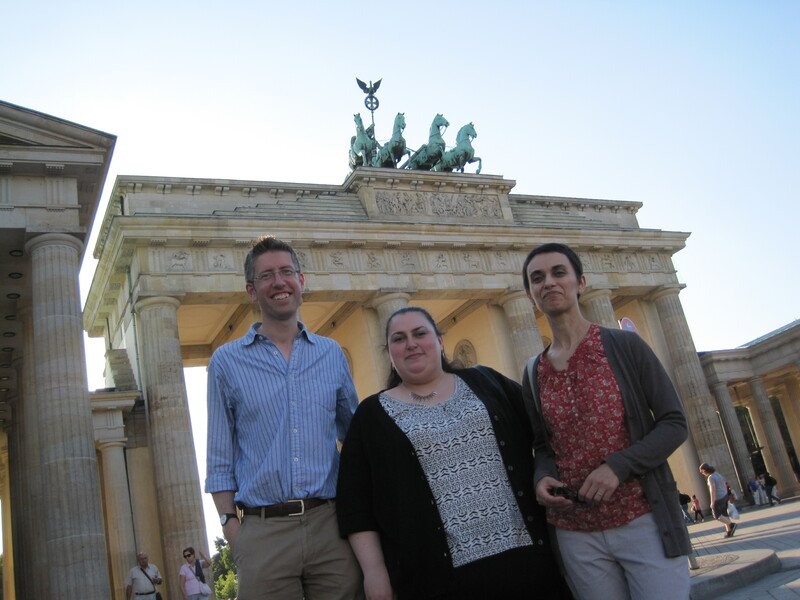 In addition to the conference, the three researchers made some time to visit Berlin and to sample its cuisine. Having presented papers at the 18th Sociolinguistics Symposium in Southampton in 2010, the trio are looking forward to the 20th meeting of this body, at Jyväskylä University in Finland in 2014. The call for papers will be made in early 2013.